2014 Bedroom Design Ideas have been greatly focusing on youthful designs for children, showing that the comfort of a child is just as important as that of his or her parent. 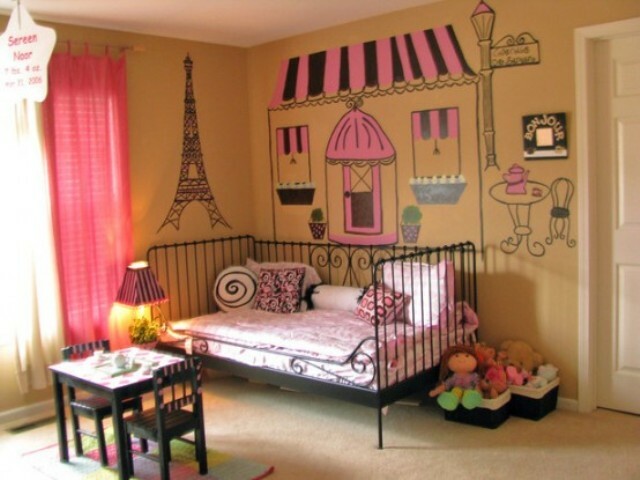 A child’s room should be a special realm of its own, one that stimulates creativity, imagination and inventiveness. So when it comes to a child’s room instead of focusing on the details and particulars, you should focus more on the fun factor and let your imagination run wild. While designing this room, there really are no books that you can go by. Instead of that you have to work out a theme taking cues from your child’s interests and taking their opinion into consideration as well, whether your child’s more into music, a sports enthusiast or a computer genius. You should choose pieces that are useful, durable and flexible to meet changing interests. Always use lead-free paint for the furniture as the safety of your child comes first. You can make a room look pretty in pink, or periwinkle blue, which brings in a feminine element. For boys you can go for the richer blue and purple. Spilled finger paints, crayon graffiti, and disorderly play are inevitable in a child’s room. That is why 2014 bedroom designs for children focus on safety and easy to clean furniture, fabrics, surface and ample display space. Display space is extremely essential as you don’t want the room to look like a mess just filled with toys and other furniture. Always leave room for your child to be artistic.